The funding will be dedicated to expand operations from hardware design into software, app and cloud services, as well as accelerate KnCMiner’s growth in general. A day or so after KnC announced it’s cloud mining service, KnC cloud, it is now stated that a series A investment round of $14m just finalized. As stated by the Co-founder of the company: …this round of funding will further cement our lead in hardware design and deployment of cryptocurrency services. KnC is currently focusing on delivering their Titan Scrypt miner, and batch 2 of their popular, profitable Bitcoin miners “the Neptune”, by the end of this year’s quarter. 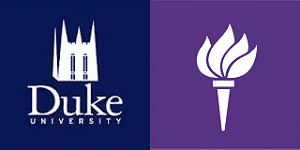 Two top-ranked US universities, New York University and Duke University, are offering courses on cryptocurrencies for the first time. Professor Geoffrey Miller taught the first class of NYU’s new course, The Law and Business of Bitcoin and Other Cryptocurrencies, yesterday. 35 students attended the session – the first in a series of 14 – which covered the fundamentals of money. Students of the computer science department along with students from law and business schools from Duke will be able to attend a course titled Innovation, Disruption and Cryptoventures by next spring. The course is going to be focusing on the potential of businesses that use Bitcoin, and the block chain. Robocoin, Lamassu, BitAccess, BitXatm – the global bitcoin ATM market is already being served by a number of emerging manufacturers. However, that isn’t stopping new entrants from attacking the space. Earlier this year, in April, the payment solution provider PayStand revealed that it had received $1m in funding, and also announced that they will support Bitcoin. In WooCommerence’s website it is proclaimed that WooCommerce powers 17.77% of all eCommerce websites and that’s more than 381,187 websites! All those merchants using Woocommerence are now able to accept bitcoin payments by using the plugin developed by PayStand. BitFury Group’s investment arm, BitFury Capital, is at it again. The group has made what they are calling a “strategic” investment in BitGo, a bitcoin secure products provider. It’s BitFury Capital’s second investment in the bitcoin space, highlighting the desire to support up-and-coming service providers that aim to make bitcoin just a bit more user friendly. BitFury Capital is a seed fund that launched in early July, their first investment was announced on August 22, after investing in what was described as a prominent Bitcoin wallet provider. While Bitcoin’s price may have dropped recently, that has not slowed them down. BitGo was the first company to commercialize multi-signature technology. BitFury Capital, made a strategic investment in BitGo, further demonstrating confidence in BitGo’s multi-signature technology. However, there are other interesting aspects in this story as well. BitGO had received $14 million in total funding of $14 million, including a $12 million Series A round led by Redpoint Ventures and Radar Partners, even before the recent investment. What BitGO will be using the funding for is not clearly defined, but it will surely help them expand their business. It would be interesting to see what the future is going to be for BitGo, as well as for multisig, now that big investors are increasingly pouring funds into the technology.